Lake Oswego, OR, June 29, 2018 – Yakima Racks, the leader in vehicle racks, will be debuting its 2019 Sportsman Collection at the upcoming iCast show (booth #5108). The new gear hauling solutions for anglers include the BigCatch fishing kayak saddle, which transports kayaks up to 150 pounds, and theEasyRider trailer, a sleek two-level workhorse that transports up to three fishing kayaks, or becomes a home on wheels with the addition of the new ruggedized version of Yakima’s popular rooftop tent, the SkyRise HD. Yakima is also introducing the SkinnyWarrior, a new size of the best-selling cargo basket designed to create more roof rack space to carry other gear. 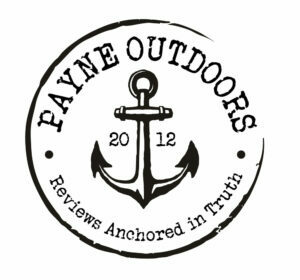 Also making its debut at iCast is the new HD Truck Rack Collection. Built for the back roads and tested to Yakima’s new Off Road rated standards, the heavy-duty rack collection is made up of three different systems: OverHaul HD, OutPost HD and BedRock HD. Each easily converts almost any truck into a gear-hauling machine. Bust out the big boats! With a whopping 150 lb. capacity, the BigCatch is the first universal kayak saddle strong enough to handle heavy fishing kayaks and sit-on-tops. Simple to install and easy to load, the rubber-padded saddles conform to the kayak’s hull for a super-secure, full-contact carry that’s easy on the boat. Want to make loading even easier? The kit includes felt pads that easily secure to the rear pads to help slide the boat into the cradle. Heavy Duty straps and Bow/Stern Tie Downs are also included and the universal mounting hardware fits most roof racks. After an additional year of rigorous testing, Yakima is now ready to launch its innovative new utility trailer, the EasyRider. With two levels and 500 lbs. 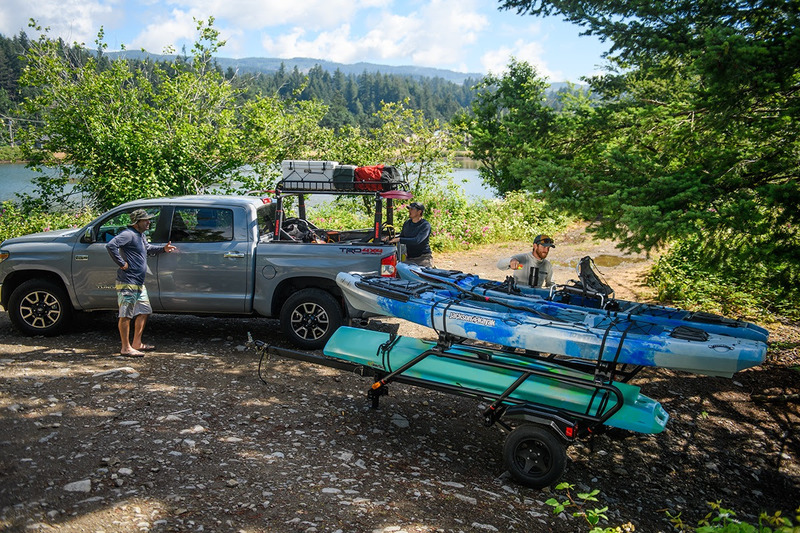 of carrying capacity, the EasyRider hauls up to three fishing kayaks and rec boats up top with room for coolers and gear underneath. Or load up some bikes, paddleboards, or a couple of cargo boxes. 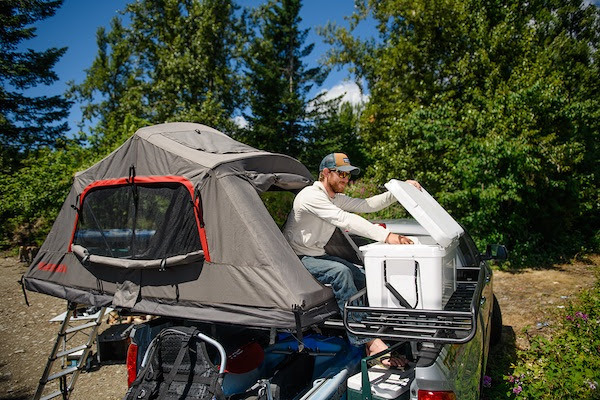 Together with the new BigCatch, it’s the complete package for the kayak angler on the move, and it’s also the perfect base for theSkyRise rooftop tent, creating an instant travel trailer. 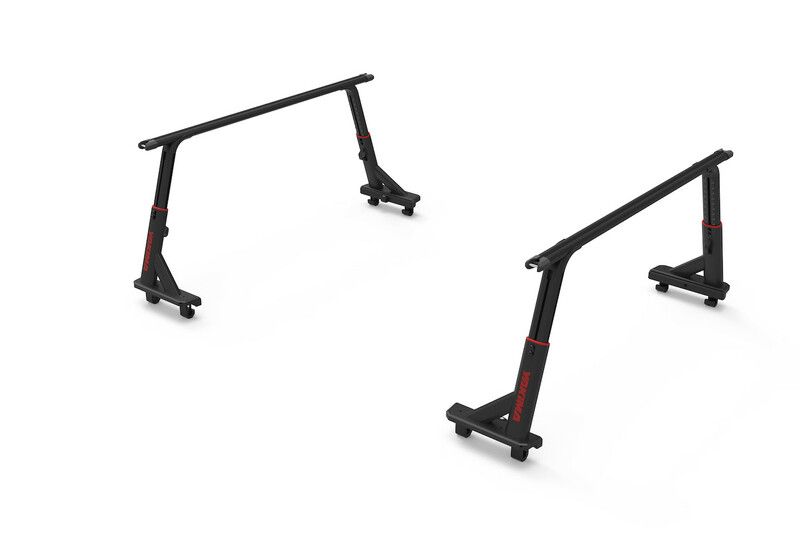 Equipped with Yakima’s widest, burliest bars, it accepts any Yakima mount. And the design allows addition of another set of bars for even more gear-hauling options. A smart handle lets you use it as a handcart, and the aluminum construction is strong and light. Storage is easy—just fold in the tongue and roll it out of the way. BigCatch accessories include the SpareTire, which easily attaches to the trailer’s frame so the spare is always there if needed ($179), and the TentKit, which creates a level platform for the SkyRise rooftop tent ($199). 500 lb. carrying capacity—load it up! For weekend adventures and hardworking weekdays, the new OverHaul HD adjustable truck rack brings best-in-class payload and unmatched versatility. Leveraging Yakima’s new HD Bars for a500 lb. on-road carrying capacity and paired with 300 lb. off-road rating, the OverHaul is the ideal foundation for heavy loads. Plus, it’s easy to customize. The crossbar height can be adjusted 19-30 inches: way up for long loads to go over the cab; down low to get the rack and load down out of the wind; and the infinite number of positions in between. Designed to handle heavy loads on backcountry terrain, the OutPost HD is built for rugged overland adventures. The mid-height design provides a low center of gravity, easy accessibility to gear, and the perfect platform for the SkyRise rooftop tent. The engineered aluminum construction delivers an unmatched 500lb on-road carrying capacity, and is Yakima Off-Road Rated up to 300lbs. And it’s the foundation for a fully loaded overland rack system. 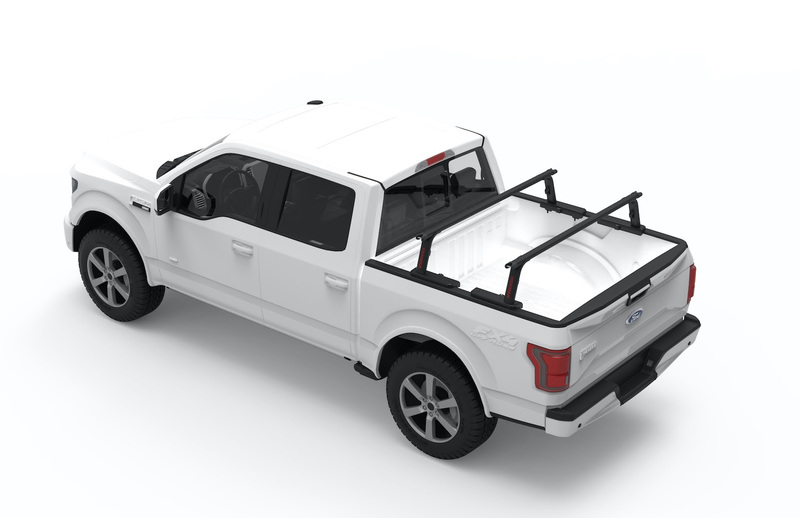 Pair the OutPost with the HD Bar length that best fits the bed and gear, then add Yakima SideBars, mounts and accessories to outfit any truck for every adventure. 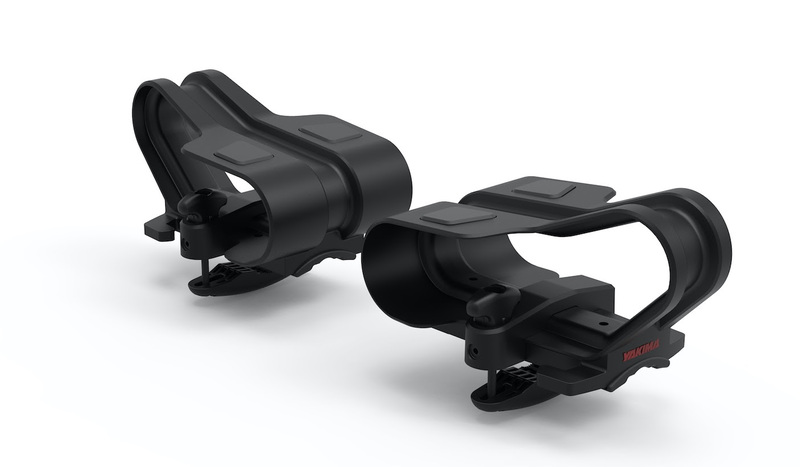 Accessories include the SkinnyWarrior Extension ($109) for wrangling even more gear with 16” of additional space, and the StretchNet Skinny ($39), which is designed for the SkinnyWarrior with or without extension and keeps loose gear safe and secure, even on bumpy back roads. The SkyRise HD is the perfect hub for an evening by the water, providing a comfortable home base for early morning rises and late night paddles. This latest version of Yakima’s best-selling rooftop tent features many upgrades and refinements that add up to heavy duty improvements. Sleep high above the wet ground in more usable space, and expanded windows, doors, and skylights provide grand views and ventilation. The tent body is made from a thicker 600D Ripstop Poly fabric and an added layer of 3000mm waterproof PU coating, and the rain fly is 210D Ripstop Poly with a 3000mm PU coating –providing four-season weather protection. A burlier floor material ups the tent’s durability. Floor-mounted d-rings and guy points make it easier to hang gear and guy out the tent for a secure pitch in windy conditions, and a new ladder design makes it easier to adjust for various vehicle and ground heights. Customize the SkyRise with Yakima’s collection of roof top tent accessories, or pair with the EasyRider High trailer for a traveling base camp. Is there a known release date for these new products? I’m loving the new SkinnyWarrior which could fit with my Skyrise 3 tent. 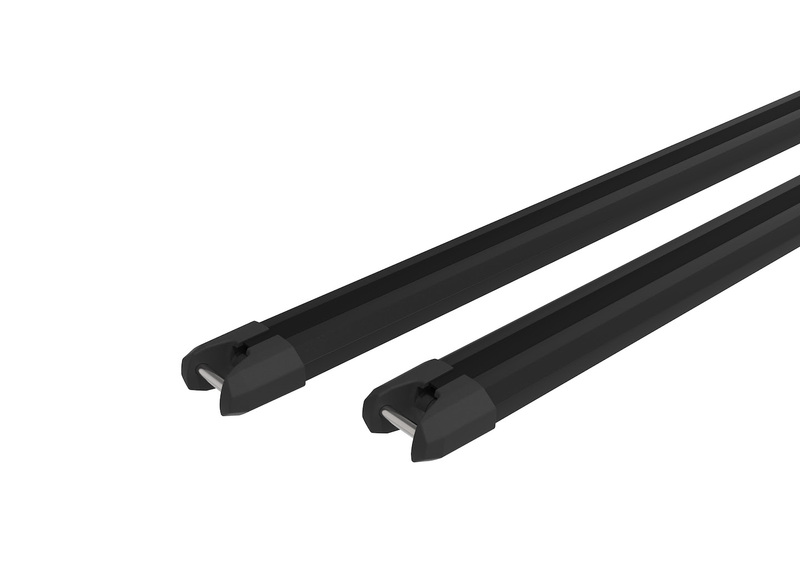 I have the JetStream Large 70″ crossbars complete with Skyline towers and thinking the LoadWarrior will be too big on my 2016 tahoe. Looks like Spring of 2019. Going to be a bit unfortunately.